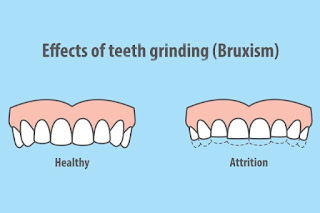 Teeth grinding is medically known as bruxism. Most of the people probably grind their teeth from time to time. Normally it does not cause harm, but when it occurs on a regular basis the teeth can be damaged. Some other oral health complications can also arise as a result of this. Nearly 1 in 3 people have teeth grinding, and nearly 10 percent of those do it so severely. This condition affects from childhood through adulthood, means people of all ages, producing severe tooth damage, headaches, and jaw disorders. Teeth grinding can happen anytime during the day, it often occurs during sleep and may not know that they are doing it until their sleeping partner or dentist mentions it. It may take months, or even years, to identify this problem, Significant damages may be already done at that time. Sometimes bruxism may be a symptom of certain rare diseases of the nerves in the face. Some medicines that treat depression rarely cause bruxism. Some people grind their teeth only in sleep time. This is called Nocturnal bruxism. 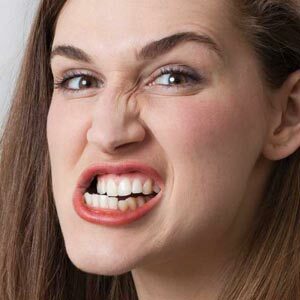 Other people grind their teeth during daytime also, it is known as diurnal bruxism. This is considered stress or anxiety related bruxism. If teeth grinding is due to the stress or anxiety stress reduction techniques can be initiated. The sensation of clenching or grinding the teeth can be reduced by using a mouth guard. It helps to reduce the pain and prevent tooth wear. Thangam's dental clinic is a Speciality dental clinic Tamilnadu, it offers the best personalized, comfortable, relaxing but clinical environment. The best teeth grinding treatment in India is provided by them. Thangam's clinic specializes in high-quality dental treatments.